A pair of Ritual cards to further support Luard and friends. 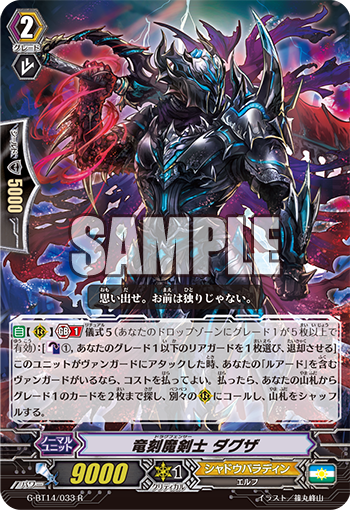 AUTO (RC) Generation Break 1 Ritual 5 [Counter Blast 1 & Choose one of your grade 1 or lower rear-guards, and retire it] When this unit attacks a vanguard, if you have a vanguard with “Luard” in its card name, you may pay the cost. If you do, search your deck for up to two grade 1 cards, call them to (RC) and shuffle your deck. AUTO Ritual 1 [Soul Blast 1] When this unit is called to (RC) from deck, if you have a vanguard with the Ritual ability, you may pay the cost. If you do, draw a card.